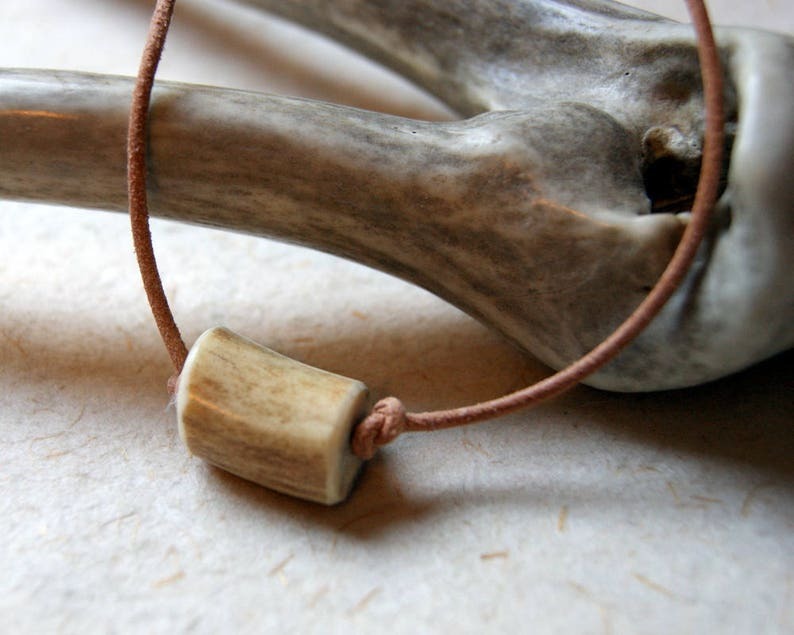 Antler necklace comprised of a smooth antler bead knotted onto a natural tan Greek leather cord that closes with a lobster clasp. The beads measure approximatley 1/2" long. #1 is sold. To see what is left look at the last photo. You can choose the one you like at checkout. Choose length at checkout: 16". 18". 20". 22". If you would like this gift wrapped (it's free!) leave me a message when you check out and I'll happily wrap it for you).